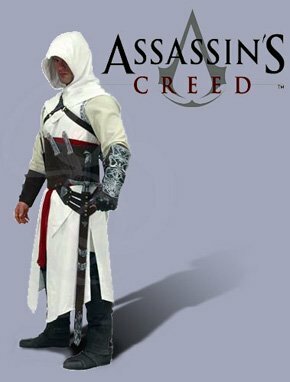 This belt is perfect to complete Altair the Assassins outfit! The red sash is a large, padded cloth belt with a front and back hanging sash. The adjustable velcro closure allows one size to fit most.